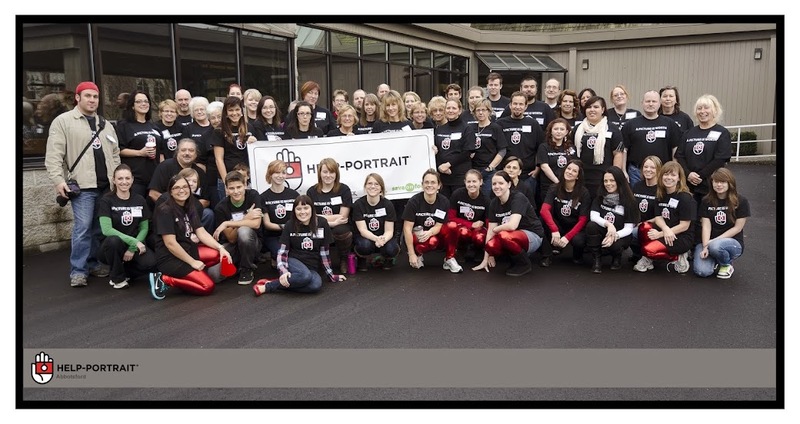 Help-Portrait Abbotsford: Less Than a Month Left! So there is less than a month left before our Help-Portrait day. We are trying to pull all the details together in such a short amount of time. We have begun contacting organizations who will send us guests to participate in this special day. Every year we try to look for new organizations and new people to reach, because this is about giving people a boost when they are at a low, giving them a sense of worth and value at a time when those things are hard to find. This is not simply about free portraits for those who can't afford them - in fact, many of our volunteers could not afford to have their hair and makeup done or professional portraits taken of themselves! We are a special group of people, looking to give back to others who are special and don't really know it. If you are this person who is at a hard place, please have your group or organization contact us to get you involved. We are in contact with many community groups and organizations, and we are always willing to add more and spread our reach. Become a volunteer - trust us, there are so many, many different areas where you can help, no special skills needed! Just sign up and/or come out to one of our planning meetings. Donate funds or items that we need - We need everything from food, to volunteer t-shirts, to photo paper and printers. Please have a look at our list to see if there is something you are able to help with. Unfortunately, since Help-Portrait is only registered in the US as a charitable organization, we are unable to give charitable donation receipts. We are willing, though, to write an official thank you letter if that will help you for business purposes. Please take a minute to explore our blog, and to look at the photos and videos from past events. Hopefully we captured the essence of what this day means to us!